The Woodlands Compounding Pharmacy letter to TDCJ demanding Texas return execution drugs for a refund. 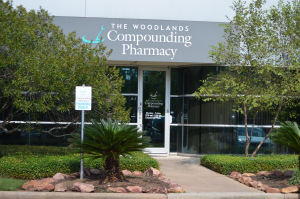 Previously the AP reported that The Woodlands Compounding Pharmacy was where Texas bought its execution drugs. The nation’s most active death-penalty state has turned to a compounding pharmacy to replace its expired execution drugs, according to documents released Wednesday, weeks after Texas prison officials declined to say how they obtained the drugs amid a nationwide shortage. The Texas Department of Criminal Justice, responding to a Freedom of Information request from The Associated Press, released documents showing the purchase of eight vials of the drug pentobarbital last month from a compounding pharmacy in suburban Houston. Such pharmacies custom-make drugs but aren’t subject to federal scrutiny. Texas’ previous supply of the sedative expired last month, but prison officials wouldn’t say where they were getting their new supply. Several companies have been refusing to sell the drug for use in executions, leading to a shortage in death penalty states, though at least South Dakota and Georgia have also turned to compounding pharmacies. “The agency has purchased a new supply of the drug from a Texas pharmacy that has the ability to compound,” Clark said. A message left by the AP for the pharmacy, The Woodlands Compounding Pharmacy, wasn’t returned Wednesday. Texas’ purchase invoice shows that the warden from the Huntsville Unit, which houses the state’s death chamber, bought eight 2.5-gram vials of pentobarbital on Sept. 16. Five grams, or two vials, are used in each execution, with another 5 grams available should they be needed to complete the execution. Clark said the agency also has purchased from the same pharmacy another eight vials that will expire April 1. The recently purchased supply will expire in March. The disclosure came a day after a federal lawsuit was filed on behalf of three death-row inmates who are challenging the state’s use of the new drugs. Among the plaintiffs is death-row inmate Michael Yowell, who is scheduled for execution on Oct. 9 for killing his parents at their home in Lubbock. The lawsuit, filed in Houston, contends that Texas’ use of untested drugs during an execution would violate the U.S. Constitution’s protection against cruel and unusual punishment. “Use of compounded pentobarbital would constitute a significant change in the lethal injection protocol, a change that adds an unacceptable risk of pain, suffering and harm to the plaintiffs if and when they are executed,” the lawsuit says. The lawsuit also alleged that prison officials have been trying to obtain execution drugs in the name of the “Huntsville Unit Hospital,” though a hospital at the prison hasn’t operated since 1983. Clark said the state corrections department had a current federal drug agency number registered to the Huntsville Unit. Texas switched to a lethal, single dose of the sedative pentobarbital last year after one of the drugs used in its previous three-drug execution process became difficult to obtain. Legal challenges were filed to that revision but failed. Other death-penalty states have encountered similar problems after some drug suppliers barred the drugs’ use for executions or have refused, under pressure from death-penalty opponents, to sell or manufacture drugs for use in executions. South Dakota has carried out two executions using the sedative from a compounding pharmacy. Georgia has said it’s taking that route, but it’s difficult to tell exactly how many states have used or are planning to use compounding pharmacies for execution drugs because states frequently resist disclosing the source of the drugs. Georgia’s first use of an execution drug obtained through a compounding pharmacy was put on hold in July after the condemned inmate challenged a new state law that bars the release of information about where Georgia obtains its execution drug. The U.S. Food and Drug Administration considers products from compounding pharmacy unapproved drugs and does not verify their safety or effectiveness. But such businesses came under intensified scrutiny after a deadly meningitis outbreak was linked to contaminated injections made by a Massachusetts compounding pharmacy.